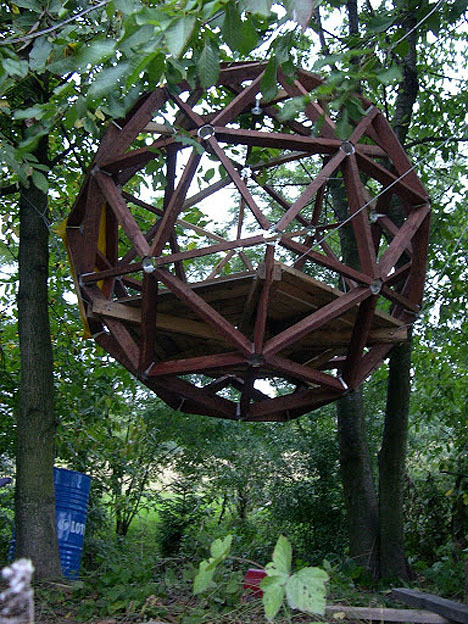 Buckminster Fuller’s iconic geodesic dome is re-imagined as a sphere floating in the woods in this fun treehouse project by Michael Wielgus of Krakow, Poland. 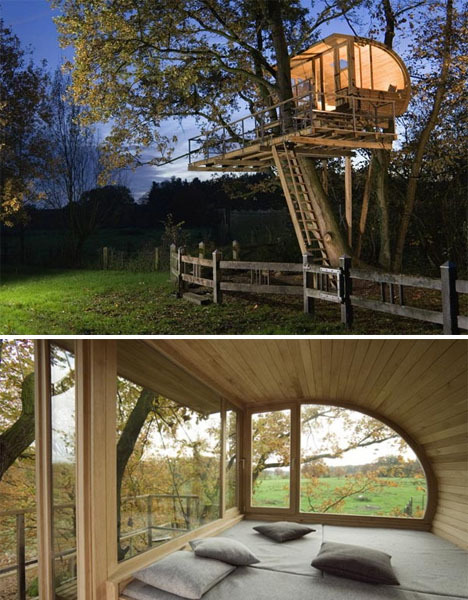 Another project from Baumraum, this modern treehouse is set between an alder and an oak on Osnabruck, Germany. The curved roof design makes it feel cozy inside while a wall of windows allows inhabitants to look out onto the landscape. The treehouse features a built-in bed with storage underneath, and a sizable balcony. 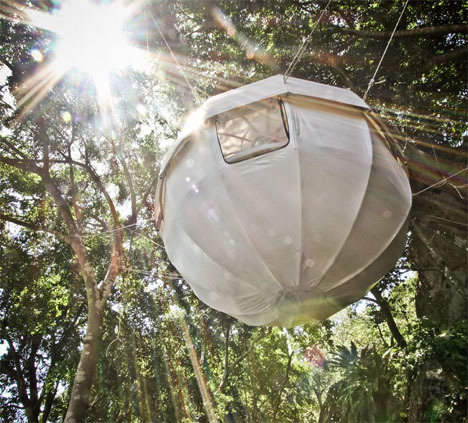 The Cocoon Tree is technically a tree tent – a hanging bed supported with cables that you attach to nearby trees. 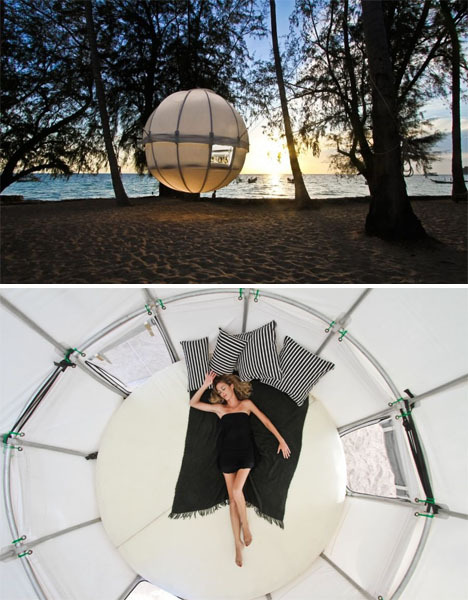 The spherical design is covered in a waterproof tarp and features a 2.4-meter-wide circular bed with a high density foam mattress. Fighting Cyborg Insects: The Future of Military Weaponry?